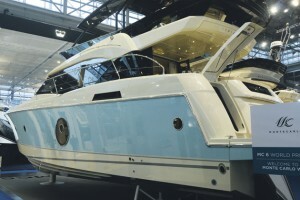 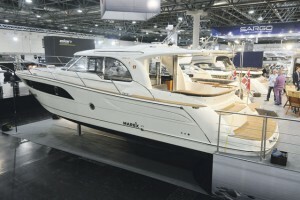 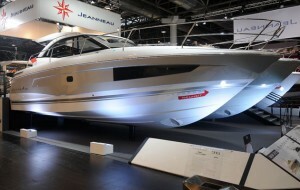 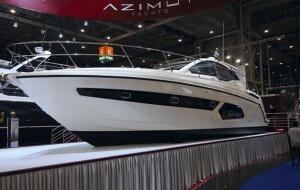 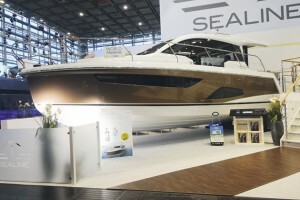 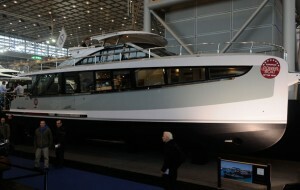 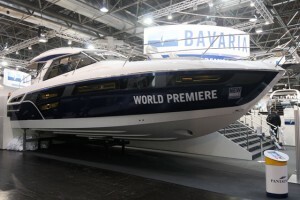 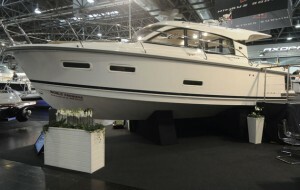 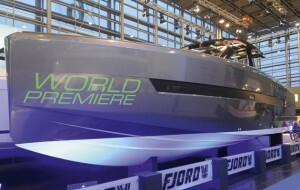 At last the Bénéteau Group has built a boat to rival the likes of Princess, Sunseeker and Fairline. 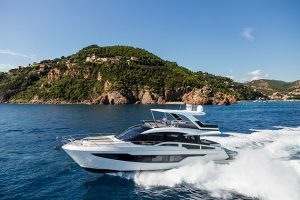 The new Monte Carlo 6 is an absolute stormer of a boat with three luxurious ensuite double cabins, a very respectable crew or kids’ cabin in the stern and some of the best entertaining spaces we’ve seen on any craft this size. 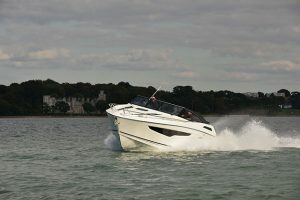 The flybridge is close to perfection with a substantial outside dining table opposite a comprehensive galley area, a large sheltered sunpad aft and a helm position to starboard with an extra pair of forward facing navigators’ seats to port, all protected by a hard top with a large opening sunshade. 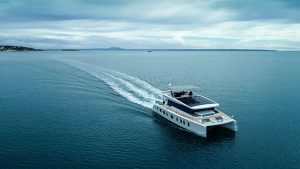 The main deck is equally well thought through with the aft galley and cockpit all on one level with the same teak decking so that guests can take a dip and then wander through to grab a snack or drink without having to worrying about dripping on the plush saloon carpets. 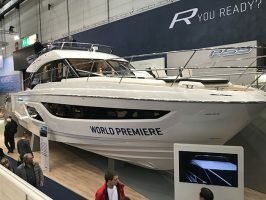 The pale colour schemes and tactile details like rattan locker doors and hand stitched leather locker handles look cool and classy, while the twin 600hp Zeus pod drives combine joystick berthing ease with a 29 knot top speed. 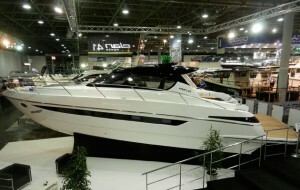 Prices start from around €1.1million ex tax. 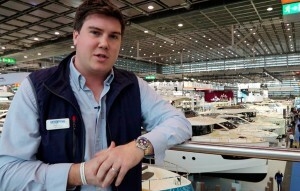 Read the full show review in the April 2015 issue of MBY, out March 5.